Castle Lady maintained her unbeaten record in the nine-runner G3 Prix de la Grotte over a mile at Longchamp, France, on Sunday, 14 April and now enters Classic consideration. The three-year-old Shamardal filly, trained by Henri-Alex Pantall and partnered by Mickael Barzalona, was well away and disputed the running early before settling in fourth as a decent pace was set up front. Castle Lady ranged up in the straight when improving to third and ran on well to hit the front inside the final furlong to triumph by a length and three quarters eased down from Imperial Charm in 1m 38.39s. She won a Polytrack newcomers’ race over the same distance at Chantilly on Thursday, 14 March and is likely to be supplemented for the mile French Classic, the Poule d’Essai des Pouliches, at Longchamp on 12 May. Godolphin’s Lisa-Jane Graffard reported: “This was only Castle Lady’s second start so it was very encouraging to see her win like that. “She is now a G3 winner which is absolutely fantastic and we will look to step her up in class again. “Castle Lady was in training in England last year, but she needed time and had little niggles and problems and at the end of the year it was decided that she would be well suited to Henri-Alex’s regime. 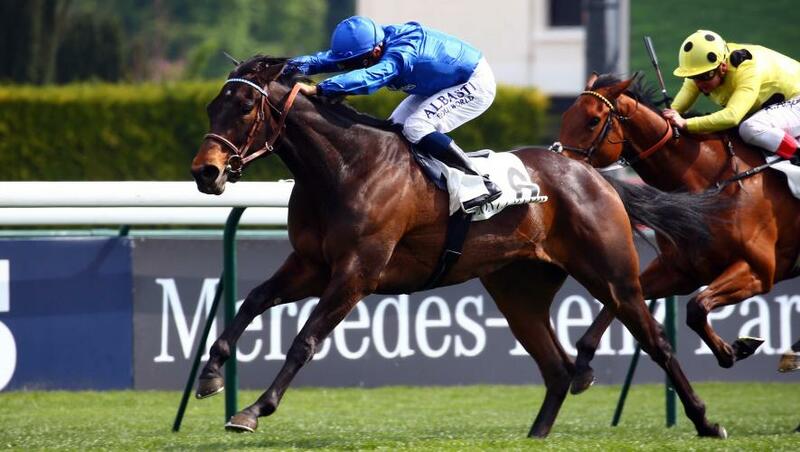 “Like so many fillies, she has just blossomed since coming to France. She had been working very well and we needed to find out today how good she might be. “Castle Lady won very nicely after having a good position in the race, quickening and staying on well. She beat a strong field of fillies.